Early last year, Oscar-nominated documentarian Poitras (P.O.V., 1988) was working on a film about abuses of national security when she began receiving encrypted e-mail correspondence from a person with the alias “Citizen four,” who felt Poitras needed to hear what he had to say. The filmmaker, armed with a camera, took reporter Glenn Greenwald with her to Hong Kong to begin a series of meetings with “Citizen four” in his hotel room. What resulted from these encounters was a controversial and thrilling story that served to impact all Americans in a profound way—and continues to do so. With the veil lifted, Edward Snowden, a former National Security Agency (NSA) system administrator, described the covert surveillance initiatives performed by the NSA and other agencies. This film documents those meetings, ultimately leading to Greenwald’s whistleblowing exposé in The Guardian, and the national and worldwide implications his series of stories continues to have. Citizenfour gives the viewer unprecedented access to Snowden, as he’s describing the NSA’s activities for the first time to reporters. Poitras masterfully tells this story by allowing it to unfold on camera naturally, all the while presenting it in a way that’s accessible and easily understood. And although the film’s key players have a clear point of view amidst the controversy—representing Snowden more as a hero than a traitor—the film is not so slanted in one direction that it would necessarily put off viewers with a less-than-favorable view of the whistleblower. In fact, it sheds light on a critical truth that will have all Americans thinking twice about its government and the information they choose to disseminate. 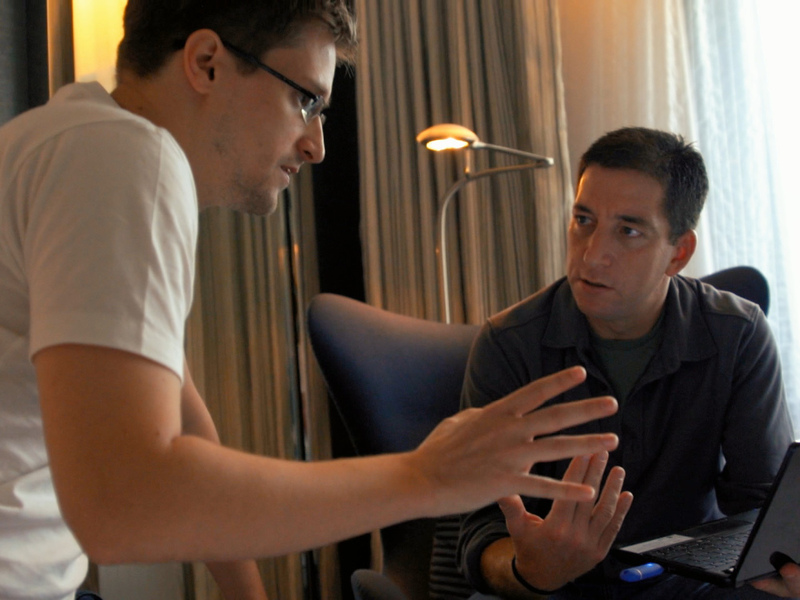 Citizenfour is the most important film of the year.